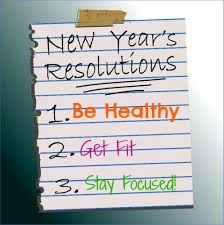 OK new year, new you they say... it's so easy, just eat right, exercise, sleep, ugh... it's not easy. Let's not kid ourselves. I started off yesterday doing really well. Then I realized there were too many cookies left and leftover coffee cake, lasagna and such so it all went downhill after noon, then it was nap time, yup, nap time. Needless to say going to teach Pilates and Cycle today was good for me but did not feel so great as I think my muscles atrophied ha ha!! But now, it's over. No more holiday leftovers or excuses. Let's do this. First challenge of the year. Not sure how many will follow but here it goes. 2 exercises, 2 days a week... the rest of the week it's all you and your motivation. I hope to get you up and running with energy and motivation each day. I will also post a recipe of the week and hope you will give them a try or share your own. Tuesday/Thursday workouts each lasting 10-13 minutes will be posted by 5 am. Look for it. Do it in the morning or evening OR do both on the same day ... whatever you want to do, it's your workout. Let's get moving!! Sometimes we all just need a little motivation from our friends wherever they may be to get us moving. It works for me. It's a pyramid... 5/10/15/10/5 REST Repeat as many times as you want. Box Jump - stand squarely in front of a step, the stairs, front stoop. Squat down to gain momentum, jump up and land on the step. You can land on the first, second or third step, just be sure you can clear the step and land with both feet in a squat position. STEP OFF and repeat the jump. Regression... an option to begin at a less intense place or to regress when you get tired rather than stopping, hold the squat, step up one foot at a time and step down. PUSH UPS - start at the hardest level... on your toes, then drop the knees to continue the exercise. PS. If you want to choose two different days i.e. Mon/Wed or WED/Fri or THU/SAT, go for it, the idea is that you get moving. Finally... My recipe share for the week. There will be others, but this one is pretty good. This is so delicious and yes you can remove the meat or replace it with your favorite protein (tofu, beef, shrimp). 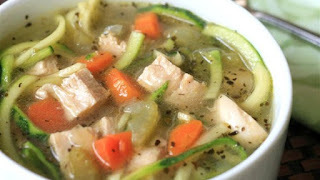 Cold weather food, comfort food that isn't so high in fat or calories but loaded with vegetables and protein. I love taking a recipe like this and adding other favorite veggies... butternut squash, for example. Yummy. Let's do this! Let's get moving!